As the morning rush gained momentum at a Gregorys Coffee outlet in midtown Manhattan on Wednesday, a small group of activists and organizers gathered to prepare for the day’s work. Before 9 a.m., they trooped out to join a small, but enthusiastic, group of protesters — around 80 people said they planned to attend the event on Facebook — at the nearby offices of Sony Music Entertainment, parent company of Kelly’s longtime record label RCA. 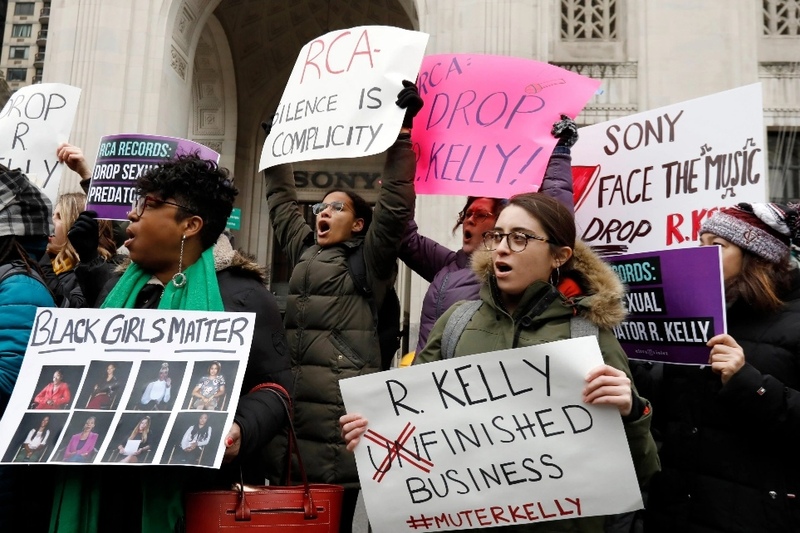 The boxes were for a petition bearing close to 220,000 signatures that urged RCA to drop Kelly. The protesters also planned to present RCA with a “Record Label of Shame” award.